A fresh-picked anniversary bouquet — Paper Rose Co. While deployed, Nick reached out to me and asked if I'd be able to recreate the look of his wife's bouquet. He sent me a photo, and immediately I recognized a stem I loved but hadn't tried before: the Snapdragon. I couldn't wait to get started! Having just worked on a delphinium study, I knew these would be gorgeous focal pieces, but time-consuming for me to recreate. I ran a few different experiments, testing out different combinations of crepe and inks, and decided to use a heavyweight paper (for durability) and a combination of coloring mediums. This approach allowed me to get the right tone of purple, and add the pops of yellow needed to make them feel natural. 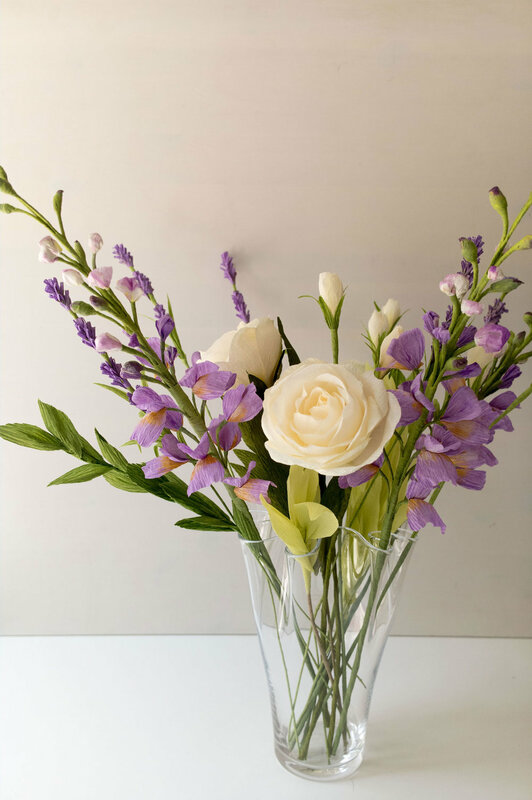 These types of stems don't necessarily have the most complex flowers to make, but the number they contain, and the system of stems needed, more than makes up for that. In the end, it's worth the effort—they're exquisite on their own, and in a bouquet, they shine. 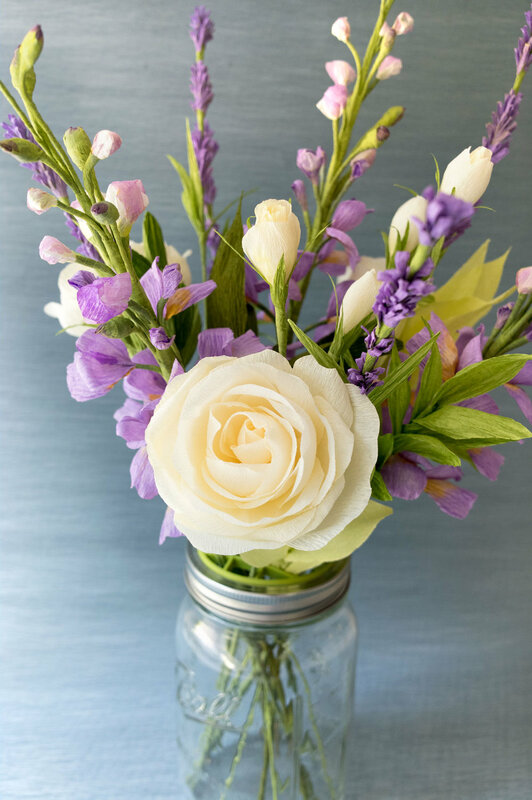 Paired with lavender, ivory roses, and stems of mixed greenery—the three snapdragon stems here appear like mini bunches of blooms and make for a gorgeous bridal bouquet. Nick was thrilled with the results, and so was I!